Strong, gusty winds combined with snow squalls have brought numerous road closures and likely contributed to at least one serious collision. Winds with gusts up to 80 km/h were expected to continue into Friday afternoon before easing off. 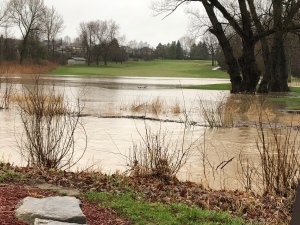 Environment Canada issued special weather statements for London-Middlesex, Elgin, Oxford, Lambton, Chatham-Kent, Sarnia, Windsor-Essex, and Huron-Perth. 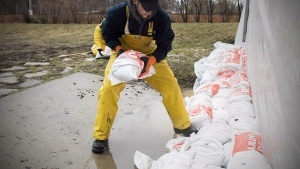 Norfolk County and Grey-Bruce were placed under wind warnings with gusts up to 100 km/h possible. In Grey County, OPP were encouraging motorists to avoid any unecessary travel as the road conditions deteriorated into Friday evening. 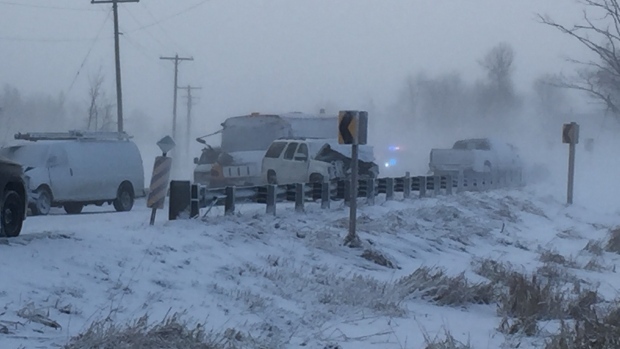 Snow squalls and high winds created treacherous driving conditions in Grey and Bruce counties, with a number of road closures. A collision south of Listowel, Ont. has sent five people to hospital. Emergency crews were called to a crash on Perth County Line 72 on Friday afternoon that involved six vehicles, including a school bus. Paramedics on scene say no one on the bus was injured. The children were reportedly transported from the scene on another bus. Emergency officials closed the road and there was no word on when it would reopen. Meanwhile there was a fatal multi-vehicle crash on Highway 6 south of Arthur, Ont. around 1:45 p.m. Friday. OPP closed the road from Wellington Road 17 to Wellington Road 109 following the collision. With files from CTV Kitchener.